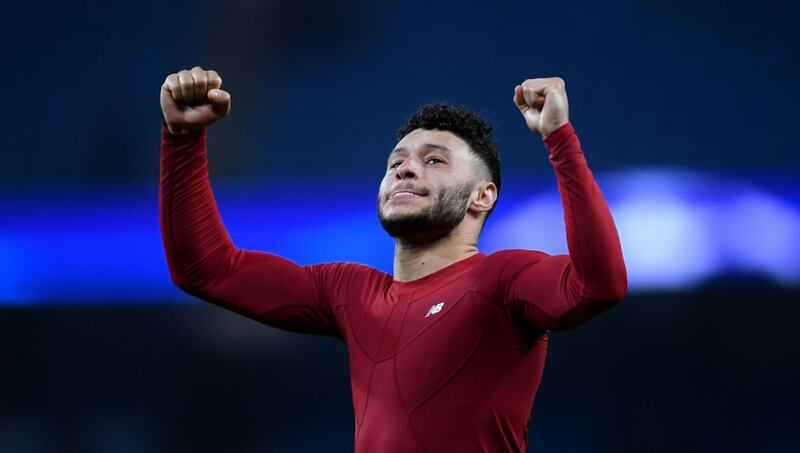 Oxlade-Chamberlain sustained a knee injury in the home leg of last season's ​Champions League semi final against Roma and hasn't been seen at Anfield since. However, his recovery has been progressing steadily, and on Tuesday he engaged in his first proper session with his teammates in Spain. With the ​Premier League on a fortnight's break due to FA Cup action, the Reds have travelled to Marbella for some warm weather training. And, speaking to the club's ​official website, Jürgen Klopp revealed: “The boys had to do a bit of core work, passing and the rondos and it’s nice [they could be involved]. And Oxlade-Chamberlain himself was in jubilant mood when he spoke to ​Liverpool's official twitter account following the session. Responding to how he found it, he joked: "Stiff. No, I'm alright. It was good to be back. It gives you a good little boost being back around the lads, you don't really think about your knee or whatever your injury is, you're just happy to be back out there and getting on with it." He then poked fun at teammate Andy Robertson, proclaiming: "Watch that footage back - I've staked a claim for MOM! Andy Robertson, still not as good as me!"